The vegetables cleaning range is designed to facilitate cleaning at the farm vegetables gardening. Vegetables Cleaning There is 1 product. 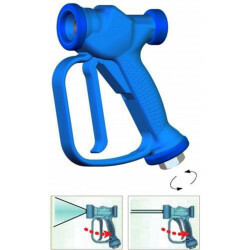 High-quality gun for cleaning vegetables and diversified watering.